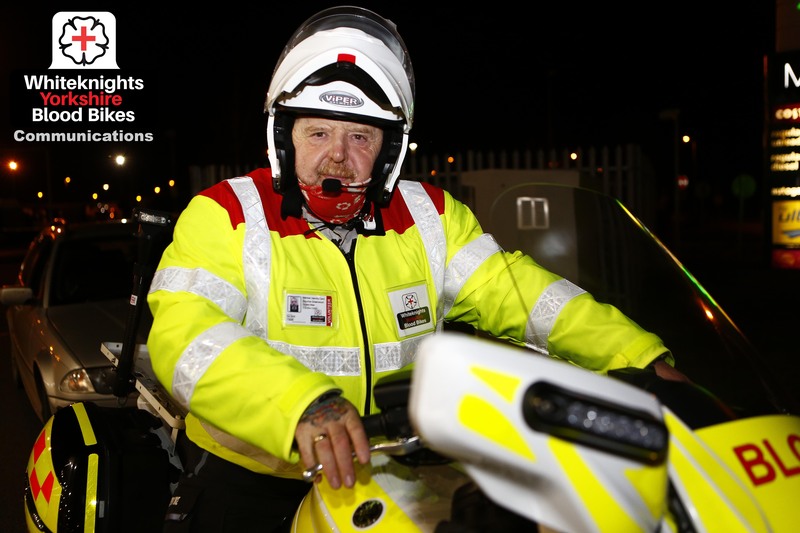 Breaking News… from Whiteknights Yorkshire Blood Bikes. Following a busy period for Whiteknights Yorkshire Blood Bikes over the festive period, we go into the first week of January with an urgent national relay with other Blood Bikes groups to transfer Pathology items from Edinburgh to St James’ Hospital Leeds. Pictured from just moments ago whilst on the relay section from Scotch Corner to Leeds is Whiteknights Advanced – Qualified Volunteer Rider, Maurice Greenwood. Today marks the end of Maurice’s first week on duty for Whiteknights.